The actor had completed his various 100 crore collections movie, and now the film is also heading towards another 100 crores as expected. The film was released with a high pace in the cinemas, and almost every benefit show and the first show was houseful, which had definitely helped in improving the publicity at least expenses. Unlike other Telugu movies, the flick was released in many states other than Andhra Pradesh and Telangana too. This helped the film to great buzz. Directed by Srikanth Addala the movie also features all time favorite audience of Telugu audience Kajal Aggarwal. Production values of the film were very high, and the script was himself produced by superstar Mahesh Babu with a whopping budget of 60 crore rupees. Mahesh along with 21 other artists was in the song’s shoot. Raju Sundaram choreographed the song on which ₹35 million was spent for the shooting purposes. 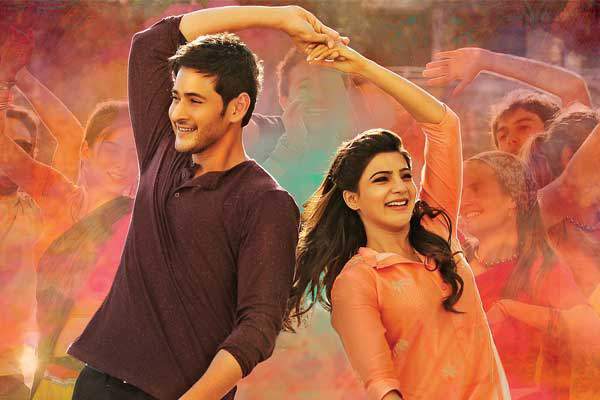 Brahmotsavam movie is itself a success as the opening occupancy of 70% in the most of the theaters in the city is not an easy task. The occupancy in Telangana and Hyderabad was higher than the expectations, and it also helped the movie to grow big. The Friday’s response may govern the greater and ultimate response from the audience on weekends especially. The overseas collections for the first day were around four crore rupees. The movie was released in many countries including the United States and Canada. The primary audience comes from the countries like the United Kingdom; Saudi also contributes a huge share in the BO collections of Bollywood movies nowadays. It broke the records of Srimanthudu and Aagadu at the US premiere shows and turns out to be the biggest opener for Mahesh Babu. The film got over 100 screens in the nation where Mahesh is the most popular Telugu actor. From 127 screens, it collected $425,933 from the US while it earned a total of $544,680 from 147 screens worldwide premiere shows. Still, Baahubali: The Beginning and Sardaar Gabbar Singh are ahead of Brahmotsavam. Overall, Mahesh Babu’s film collected around seven crore rupees as the boxoffice collections on opening day from many local areas. The final report is yet to be updated. Occupancy in the evening shows was much higher than of morning shows. The collections figure will be updated shortly. Stay tuned to The Reporter Times for latest Tollywood news and other Entertainment updates. Don’t forget to share it on social media sites. Better than SGS but very boring movie. Talk about Brahmotsavam…..Dont dare to talk about SGS…SGS is thousand times better than B.
BABU MAHESH .MIND BLOCKING BABU. PLZ NEXT TIME THIS TYPES OF MOVIES DONT DO BABU.pLZ U UNDER STAND.